Javier Batiz is one of Tijuana’s musical legends, and he is frequently referred to as someone who taught Carlos Santana how to play guitar. In Batiz’s web page, and in other sources, he is identified as a major figure in the development of Mexican rock. I heard him play once at the Tijuana brewery and he regularly re-appears around the city. This Sunday, March 29, he will perform at the CECUT at 4 p.m. as part of the 5th Annual Tijuana History Fair. The fair, which starts at 9 a.m. and lasts until 5 p.m., is free and it will feature conferences, videos, art expositions, historical documents and old cars. For more information on the fair (in Spanish), go here. The CECUT – Tijuana’s cultural center – is just a few minutes from the San Ysidro border. For directions to the CECUT, go here. YouTube video originally posted by rockandroll1968. Presentation of the book “Nationalism and Revolution: The events of 1911 in Baja California,” by Marco Antonio Samaniego Lopez. The book explores the emergence of the Mexican Revolution (1910-1920) along this part of the border. TijuanaEventos, an online entertainment guide, notes that the free event is scheduled for 6 p.m at the CECUT cultural center. Here’s a map to the CECUT from the San Diego Reader. But don’t be surprised if you end up finding a hypnotist instead…The book event is listed on the CECUT site, but lacks additional information. I’m wondering if if CECUT may be shuffling some programming due to the death this week of Taurus Do Brasil, a Brazilian hypnotist whose popular show seems have been seen by much of Tijuana over the years. On Saturday night, the same time of the scheduled book presentation, the hypnotist show will go on from 6 p.m. – 9 p.m – – – with the son of Taurus Do Brasil. It’s unclear to me whether tickets are still available. Also on Saturday, the Festival of Urban Expression is scheduled from 1 p.m. to midnight, with an eclectic mix of performance artists, break dancers, theatre, music and cars. The street festival will take place in Colonia Libertad, the neighborhood adjacent to (just east of) the San Ysidro port of entry on Pino Suarez Ave. Free. Tijuana’s Festival Hispanoamericano de Guitarra continues through Nov. 15th at the CECUT cultural center. This festival draws artists from around the world – Mexico, Hungary, Spain, to name a few places – to perform a range of pieces and styles. This Friday night, Jason Vieaux (United States) performs at 8 p.m. This Saturday night, Cesar Olguin y Cuatro para Tango (Argentina and Mexico) performs at 8 p.m. This Sunday evening, Rafael Elizondo (Mexico) performs at 6 p.m.
Tickets are less than $15 per person. Mexico’s Day of the Dead is sometimes compared to Halloween, but that’s not really a good comparison. It’s more like a Mother’s Day or Father’s Day with all the trappings of a celebration – except the honored guests aren’t physically here. That doesn’t stop Mexicans and other Latin American residents from bringing the party to their dead relatives and friends. Families spend the afternoons at the cemeteries with food, drink and musicians to honor the departed. Nov. 1 is reserved for children who have died, and Nov. 2 is for the adults. In many other cultures death is a closeted subject, not talked about unless there is an immediate reason to confront it. But I find this open recognition of death a far more healthy and positive affirmation of life. To get a feel for what it’s like, visitors could swing by a local Tijuana cemetery (just ask a cab driver to take you to one near the city’s downtown) or visit any of these Tijuana Day of the Dead events. The Casa de la Cultura de Tijuana (not to be confused with the CECUT building) will host traditional events and dance performances from the evening of (Friday) Oct. 31 to (Saturday) Nov. 1. For more information (in Spanish) go here . Avenida Revolucion will also be hosting live music and other events Sunday afternoon, Nov. 2, between 3rd and 5th Streets, according to El Sol de Tijuana. Tangentially, the visiting Mummies of Guanajuato are still on display at the old Jai Alai building on Avenida Revolucion. For more information, go here. Photo: Taken near Mulege, Baja California. 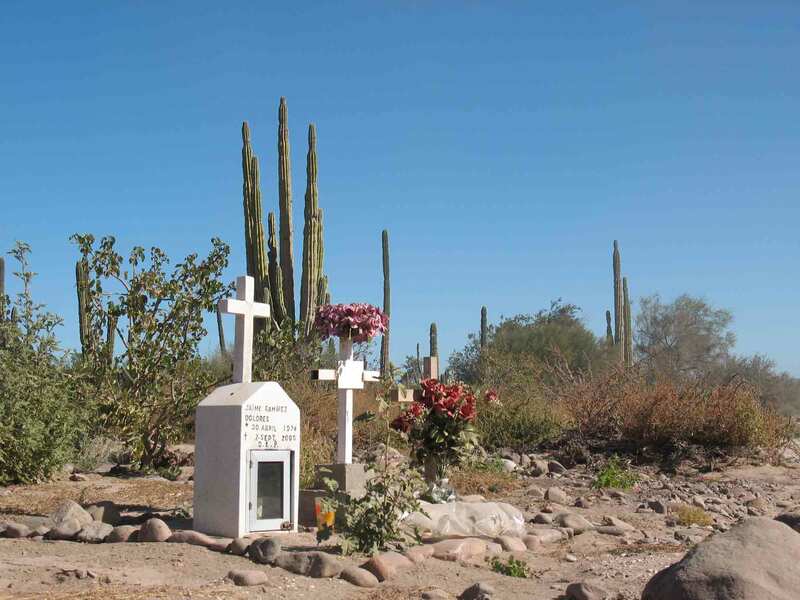 Large numbers of roadside crosses are another manifestation of Mexico’s public affirmations of death. Entijuanarte art festival: More than 155 artists, most of them from Mexico, will participate in the fourth annual Entijuanarte art festival. The event will take place at the city’s border-adjacent cultural center (CECUT – for directions go here). In addition to showcasing sculptures and paintings, the event will include conferences, performances, videos, theatre, contemporary dance and music. The event takes place from noon to 9 p.m. both days, and it’s free. Visit El Cubo: While you are at the CECUT, check out the cultural center’s newest addition, El Cubo. If you can stomach it: Tijuana’s Fiesta Brava Gastronomica continues this Saturday ( as well as Oct. 11, and Oct. 18-19). The event, which starts at 4 p.m., includes bullfights and top dishes from local restaurants. It’s located in a space near the La Diferencia and Villa Saverios restaurants in the Zona Rio. For a general idea of where it is, go here and then start asking around. General admission is about $30 per person. 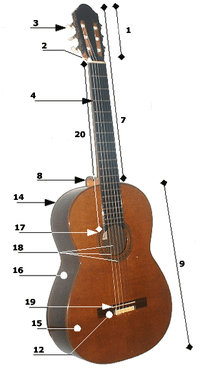 Screenshot from Entijuanarte web page. I wrote about the Tijuana Cultural Center, CECUT, in a recent post. Known affectionately as La Bola, it’s a cultural and arts center not far from the San Ysidro port of entry that gained architectural notoriety for the giant ball that esconces its IMAX theater. El Cubo (not to be confused with the Casa del Tunel) opens to the public this Sunday, Sept. 28, (10 a.m. to 7 p.m), according to the CECUT website. The CECUT’s regular hours are Monday through Friday, 9 a.m. to 7 p.m. and Saturday and Sunday from 10 a.m. to 7 p.m. Check my previous CECUT post for directions.